NEW YORK CITY – The State University of New York (SUNY) College of Optometry will recognize two distinguished scholars (Schaeffel and Naidoo) who have made lasting contributions to eye and vision care with honorary degrees during its 2018 commencement ceremony. The SUNY Board of Trustees votes and grants approval for all honorary degree recipients. Dr. Frank Schaeffel is a world-recognized vision scientist who has had a significant impact on the understanding of visual regulation of eye growth and the development of myopia (nearsightedness). His multidisciplinary work has combined aspects of cell and molecular biology, physiological optics and vision research and he has developed optical instrumentation to accelerate progress across the field. Professor Schaeffel has been a generous collaborator with many researchers around the world throughout his career and supported SUNY Optometry’s research efforts to explore the visual regulation of eye growth and the optical development of the eye. This work has been translated into emerging evidence-based treatments for the management of myopia. 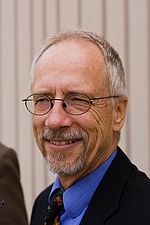 He studied biology and physics and ultimately received his PhD in biophysics from the University of Freiburg. Dr. Kovin Naidoo is an academic, former anti-apartheid activist and political prisoner, optometrist and an internationally celebrated public health leader. He is dedicated to expanding public sector eye care services throughout the developing world and founded Our Children’s Vision, a global campaign to reach 50 million children by 2020. 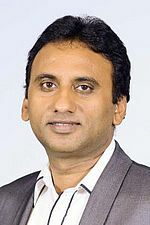 Professor Naidoo developed a comprehensive and sustainable service delivery model, which shifts the primary responsibility for refractive services and blindness prevention from private sector professionals to community eye and health care workers, making eye care affordable and accessible to underserved patients. He previously served as the head of optometry at the University of KwaZulu-Natal, with which SUNY Optometry has forged a partnership and expanded SUNY’s global presence. He holds degrees from the University of New South Wales (PhD), Pennsylvania College of Optometry (OD), Temple University (MPH), and the former University of Durban Westville, now the University of KwaZulu-Natal (BS, BO). Founded in 1971 and located in New York City, the State University of New York College of Optometry is a leader in education, research, and patient care, offering the Doctor of Optometry degree as well as MS and PhD degrees in vision science. The College conducts a robust program of basic, translational, and clinical research and has 65 affiliated clinical training sites. SUNY Optometry is regionally accredited by the Commission on Higher Education of the Middle States Association of Colleges and Secondary Schools; its four-year professional degree program and residency programs are accredited by the Accreditation Council on Optometric Education of the American Optometric Association. All classrooms, research facilities, and the University Eye Center, which is one of the largest optometric outpatient facilities in the nation, are located on 42nd Street between Fifth and Sixth Avenues in midtown Manhattan.